If you’re going to make a pencil that claims to be easy grip then you had better do it right. Step forward the Lyra Groove. Start with a larger,10mm triangular barre, then cut 24 offset grooves which are ergonomically placed to allow your thumb, index and middle finger to naturally fall into position. What you finish with is a product perfect for children or anyone who needs extra help holding a pencil. 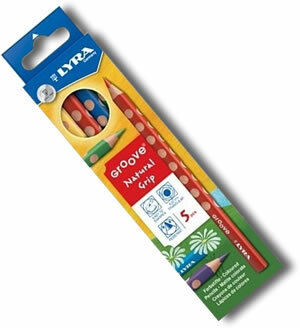 If you add in the fact that Lyra have packed a huge amount of intensive colour into extra break-resistant leads, and that those leads are wrapped inside an easy sharpen wood barrel, and you might be forgiven for thinking that the Lyra Groove is one of the best children's pencils on the market. 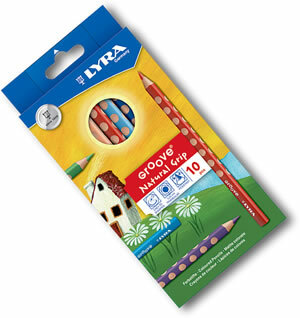 A small but perfectly formed selection of Lyra Groove pencils to get started with. 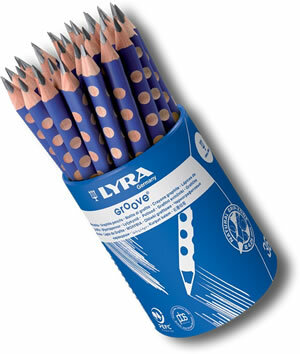 A nice selection of 10 Lyra Groove pencils. 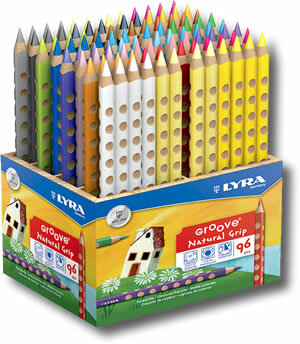 This brilliant box comes with 96 Lyra Groove pencils in 24 different colours. 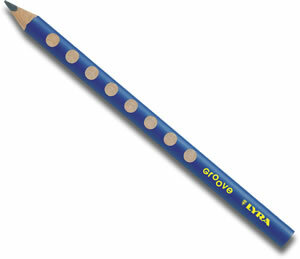 The excellent Lyra Groove pencil with an B graphite core. 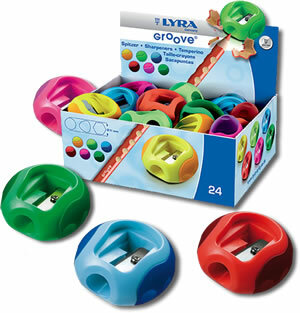 The perfect sharpener for your Lyra Groove pencils.